Jill Cates, Jeni Cullen, Craig Decker, Jamie Goodner, Debby Hanna, Emily King, Mark Nelson, Daniel O’Brien, Cheryl Phipps, David Rueve, Matthew Spangler, Renee Tyree As a social enterprise, Building Value channels most of its revenue into programs that give people a second chance at sustainable employment. But if you’ve been into the store in the last few months, there is no doubt you have seen the tarps and buckets. We cannot put these repairs off any longer–we need a new roof! We were blown away by the way community came together to support us when we were robbed last summer, and we are hoping our friends and neighbors can help us out one more time. These funds will help to offset the total cost of the roof. Become a sustaining monthly giver, and you can provide a dependable source of ongoing funding that will allow us to concentrate on offering the unique shopping experience and invaluable workforce development programs you know and love. Remember: When you support Building Value, you are supporting your neighbors. You are providing a hand up to individuals who just need a second chance in order to reclaim their lives. You are breaking down barriers and building a more inclusive Greater Cincinnati. 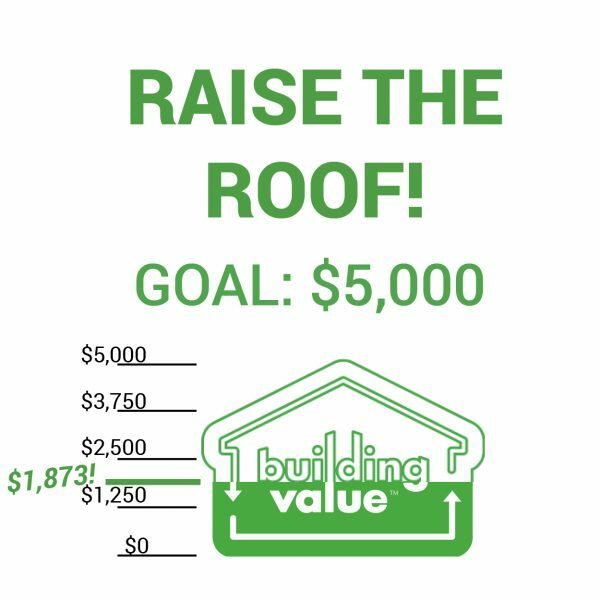 *From now until April 9, all gifts received through the Easterseals online donation page will be considered as gifts toward Building Value roof repair.